Last week, HRC’s Chicago steering committee celebrated the companies that earned a 100 percent on HRC Foundation's 2017 Corporate Equality Index (CEI). The evening reception, hosted by Baker McKenzie, honored those 2017 Best Places to Work for LGBTQ Equality based in the Chicago area. 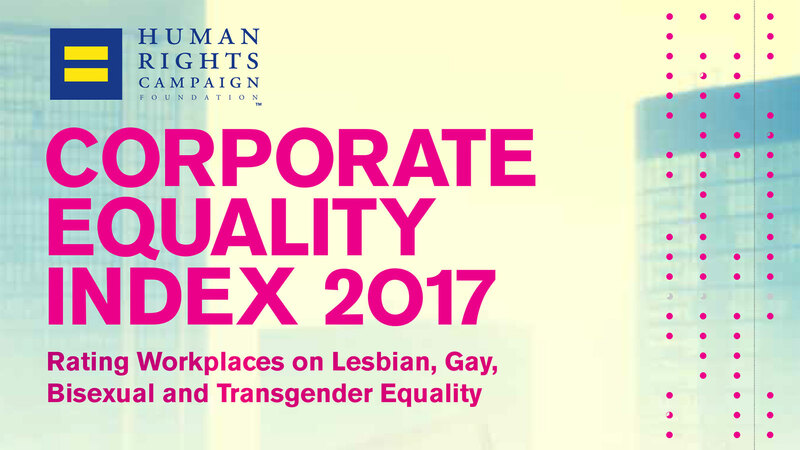 The CEI is the national benchmarking tool on corporate policies and practices pertinent to LGBTQ employees. With a breathtaking view of Millennium Park and Lake Michigan, the program included a welcome from Baker McKenzie's Roman Patzner and remarks from HRC Foundation's Lana Williams, Workplace Equality Program Manager. They both reflected on the remarkable progress and unprecedented number of employers earning the 100 percent designation in the 2017 CEI, and presented a look forward at the new criteria for the 2019 CEI. The steering committee recognized all companies in the Chicago area that earned the coveted 100 percent for the first time. Amber Chapman with Takeda, Erin Thomas with Grant Thornton, LaTonya Fourte-Lyles with BlueCross BlueShield Illinois/HCSC and David Tucker with Federal Reserve Bank of Chicago gave inspiring speeches about what earning a perfect score on the CEI means to them. They also spoke on the significance of the score to their employees and emphasized all the work we have left to do. Thank you to our hosts, Baker Mckenzie, and to all the business leaders in Chicago for ensuring safe and inclusive workplaces for the LGBTQ community. A special thank you to the steering committee in Chicago and all of the volunteers for making this event possible.